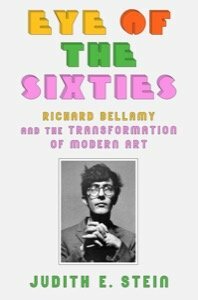 "Eye of the Sixties: Richard Bellamy and the Transformation of Modern Art"
It was 1986; she was a curator at the Pennsylvania Academy of the Fine Arts (PAFA) on Broad Street, and he was one of the most influential art dealers of the 20th century. Or he had been. 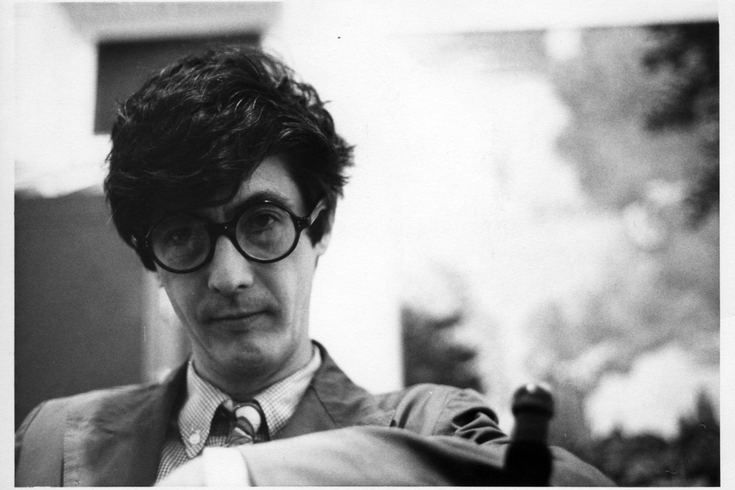 By the time he visited PAFA, Bellamy was well past his glory days as the unlikely young curator at Green Gallery in New York City who helped to launch the careers of important artists in the fields of abstract expressionism, pop art and minimalism in the mid-to-late-20th century. He was 60, or close to it, and his reputation had been eclipsed somewhat by his hard drinking and tumultuous relationships. Still, the art world as we know it probably wouldn’t be what it is today (for better or worse) without him. And while many of the artists who showed at his galleries went on to achieve great fame, he, sadly, did not. Stein’s book is the first to tell Bellamy’s life story, one of a man whose name is (or at least should be) forever linked to the careers of sculptors like Mark di Suvero, whose red, steel “Iroquois” stands along the Benjamin Franklin Parkway, not far from the Art Museum. Bellamy also sold Yoko Ono’s first work in the U.S. in the ’60s, a vending machine called “Sky Machine” that doled out handwritten cards that said things like “sky.” He also became a kind of muse among artists in his circle, making cameos in works by Roy Lichtenstein, George Segal and Alex Katz. Bellamy was a rare beast in the New York art scene, prizing substance above all else. Some considered him vulgar, rude or in bad taste, but that never seemed to stop them from taking his lead and exploring the artists and creative worlds he helped to introduce. Be warned: Stein — like this reviewer — does a fair share of name-dropping that might overwhelm anyone who doesn’t know the difference between Warhol and Pollack, but her efforts are noble. She breathes life back into a ghost of a time that many of us long to revisit, when the art mattered more than how much it would pay off, if it ever would at all.